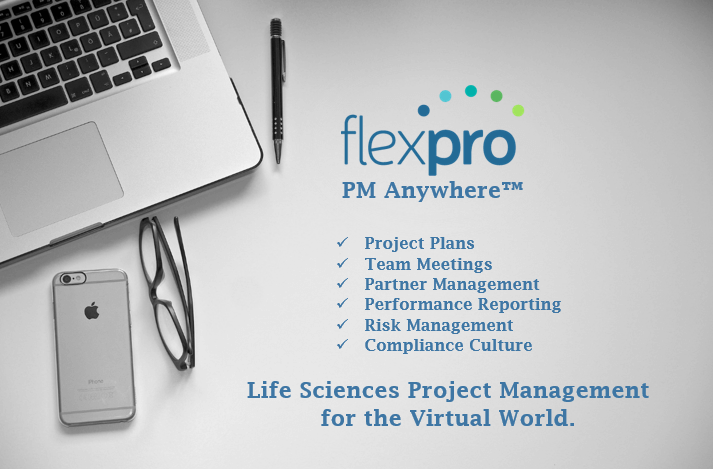 PLYMOUTH MEETING, PA — The FlexPro Group is pleased to announce the launch of PM Anywhere, providing project management for the Life Sciences community on a largely virtual basis. FlexPro is excited to continue partnering with teams in Greater Philadelphia and New Jersey while effectively expanding efforts to improve patient care. PM Anywhere enables the FlexPro team to engage with new industry leaders and emerging companies while leveraging modern technology and business practices. Kicking off in April, FlexPro will now offer project management expertise from coast to coast by leading cross-functional teams, developing project plans, tracking team performance, managing external partners, and creating a culture of transparency and compliance for its clients. Emphasizing the ability to adapt to the unique needs of its partners, FlexPro will focus on making the virtual team feel as seamless as the traditional workplace. Founded by identical twins, Rose Cook and Lynn Faughey, The FlexPro Group is a project management consulting firm that specializes in the Life Sciences industry since 2008. Operating in the Greater Philadelphia Area, New Jersey and the Greater Northeast, FlexPro combines industry-certified experts with proven project management processes to deliver results on-time and on-budget.